As part of The Actors Centre’s brand new festival of European theatre, A Piece of The Continent, Anglo-Spanish company HisPanic Breakdown will present The Copla Musical (15-20 Apr), lifting the forgotten Spanish Copla (folk) songs of Franco’s dictatorship from the shadows of history to tell the story of a drag sensation’s dream to belong. Writer and performer Alejandro Postigo joined us to tell us more. You’re bringing The Copla Musical to A Piece of the Continent Festival, what can you tell us about it? It’s a passionate and political tale of identity and freedom. Spanish drag artist La Gitana escaped the dictatorship of Franco in Spain to become a variety star in America. She is glamorous, racy, fun and authentic; and transformed and brought to life by copla songs for international audiences, yet struggles to merge her Spanish past with her American future. We bring La Gitana’s story to the stage, re-enacting a series of subversive, queer and political 20th century Spanish folk songs that haven’t since seen light out of Spanish speaking borders, and now for the first time are sung… in English! What inspired you to write The Copla Musical, and have a drag artist as the central character? Copla was a music genre repressed during Franco’s dictatorship in Spain (1939-75) and then rejuvenated in democracy (1975 onwards) by transvestites and drag artists that during the repression performed in clandestine clubs. The transvestites were also some of the first performers of copla, and famous gay Spanish writers like Federico García Lorca and Rafael de León wrote copla songs that contained encrypted homosexual messages that slipped past the censorship and to this day still represent the gay community. I thought I would use this opportunity to tell the story of those drag artists and minorities that suffered exile and at the same time subverted copla songs. To really get to know copla one must understand its subversive potential, its background as a protest song. How would you describe the music in The Copla Musical? Copla songs are Spanish theatrical folk songs of immense beauty and intricate storytelling. They were at their prime during the first half of the 20th century in Spain, and I have reason to believe that without the political disruption of Franco’s dictatorship, they could have led the way to creating the Spanish Musical Theatre of the 20thcentury. The selection of copla songs in ‘The Copla Musical’ helps telling the compelling journey of La Gitana, and I think audiences new to copla will be emotionally engaged through the discovery of the songs. Spanish audiences familiar to copla will be surprised to hear them in English and also as part of a larger narrative. You also perform in it, do you find it easier or harder to perform something you’ve written? This is a very personal piece, and there is a lot of myself in it. I have recently completed a PhD on the ‘International Adaptation of Copla’, so I am very familiar with the genre, its history and its potential for making musical theatre. The story also resonates with many aspects of my personal life: I am a gay immigrant pursuing his artistic passions in a turbulent political climate. I have great collaborators that have guided me through the process from creation to performance, and I share the stage with wonderful musicians that recreate the right atmosphere for the piece, so I feel really warm and supported on stage, but most importantly, I give my all in my performance so that I can do justice to what I think is an important story to tell. What are you most looking forward to about bringing it to London? London is a multicultural hub, home to so much innovative theatre, with a very diverse, vibrant musical theatre scene. The show was created in London and has always received a very warm welcome in this city. After audiences all around the world have enjoyed and seen the development of this project, I am excited to bring it back home, and to perform for an audience that has been long enquiring about it. This is an expected homecoming of La Gitana and we are willing to give our best. What would you say to anyone thinking of coming to see The Copla Musical? ‘The Copla Musical’ presents a different type of story and I would encourage those audiences interested in the historical, the political, the social and the inter-cultural to come see it. 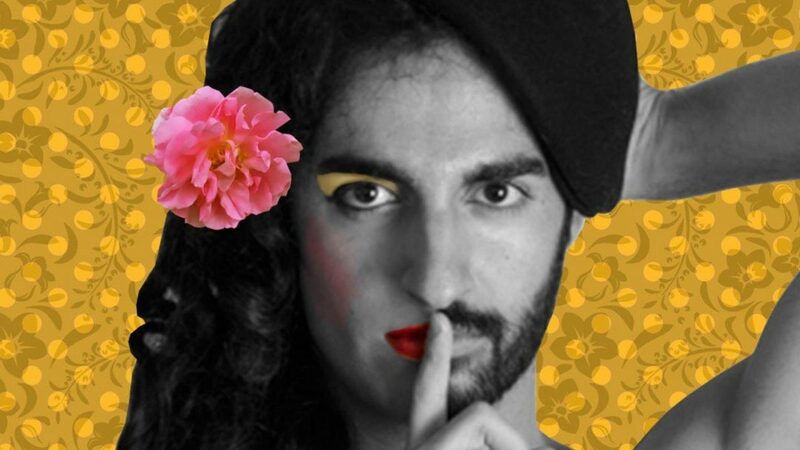 This is not your conventional musical, audiences be prepared for copla to get to your gut, and find out what happened to pioneer transgender artist La Gitana, who lived and fought for her identity through her passion-filled music. This is an intimate story that audiences connect to on so many levels, because emotions lay at the core of copla, and that is the key of the genre’s success. Copla songs deserve an afterlife beyond their Spanish context, and through this show they are now available to UK and international audiences, but most importantly I trust this show represents copla with love, passion and devotion.